In addition to picking up meat from Springford, I purchased some local produce from Coombs Country Market. All in all I had with me ground beef and fresh eggs (both from Springford), spinach, feta cheese, potato rolls, and new potatoes (all from Coombs). 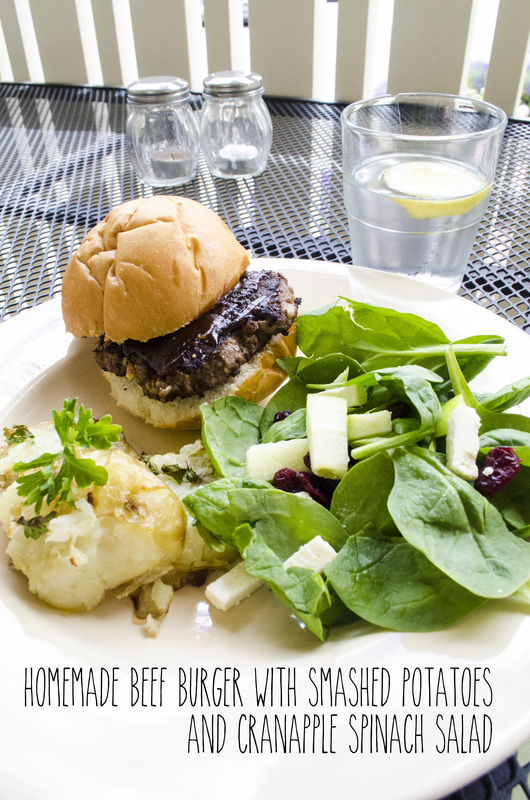 With my ingredients splayed out in front of me, and with a little extra ingredients from my local grocer, I decided to make some hamburgers, smashed potatoes and a cran-apple spinach salad! **now I haven’t put exact measurements up there and that’s just because I was cooking for one, but this recipe is easy enough to adjust for any number of servings! 2. If you bought bigger potatoes, like me, cut them in half. If you followed the directions like a normal person, skip this step. 3. Smash!! I find this easiest if you smash the potatoes on a cutting board, while using a clean kitchen towel between your hand and the potato. Those puppies are HOT! Also you don’t want to use too much pressure when smashing. (You want the potatoes to retain a disc like shape, not the shape of a desecrated heap of mushed potato.) 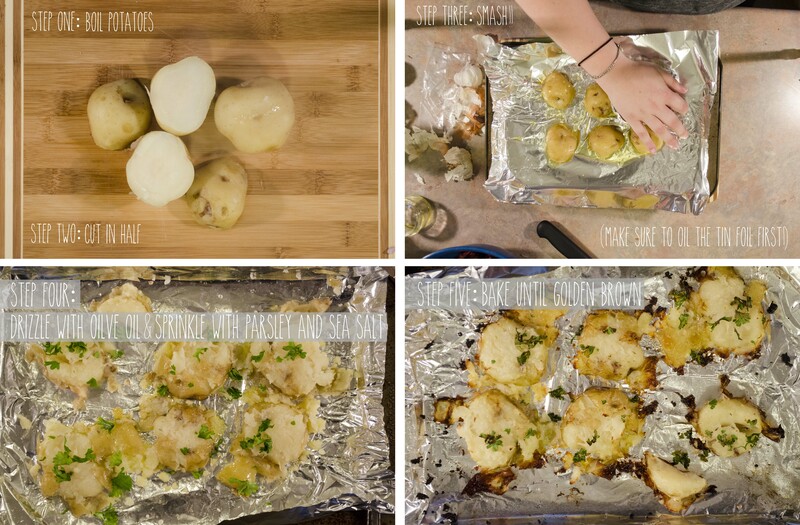 Layer a baking sheet with tin foil, then drizzle some olive oil onto the pan. Next, place your smashed potatoes on the pan. 4. 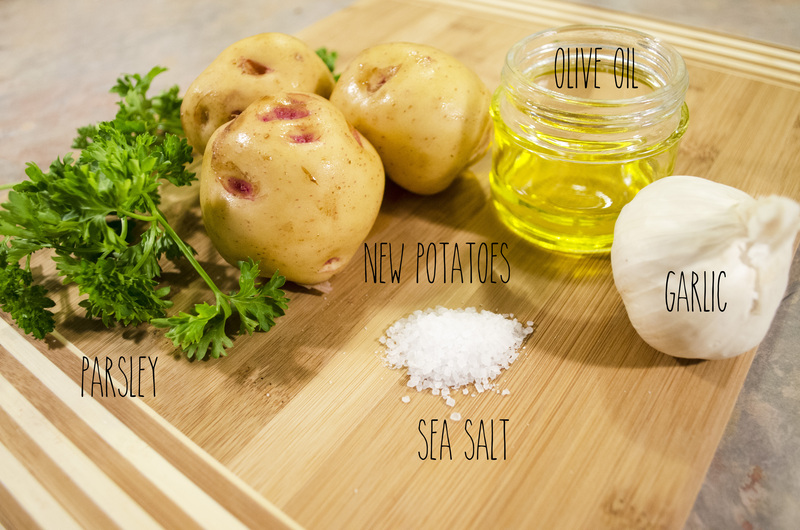 Drizzle the tops of the potatoes with olive oil. Then sprinkle some of your parsley, garlic, and sea salt over-top. Now you’re ready to bake them! 5. Bake for 5-10 minutes (depending on your oven) until your potatoes are deliciously golden brown. 1. In a bowl, beat egg and water together with a fork. 2. 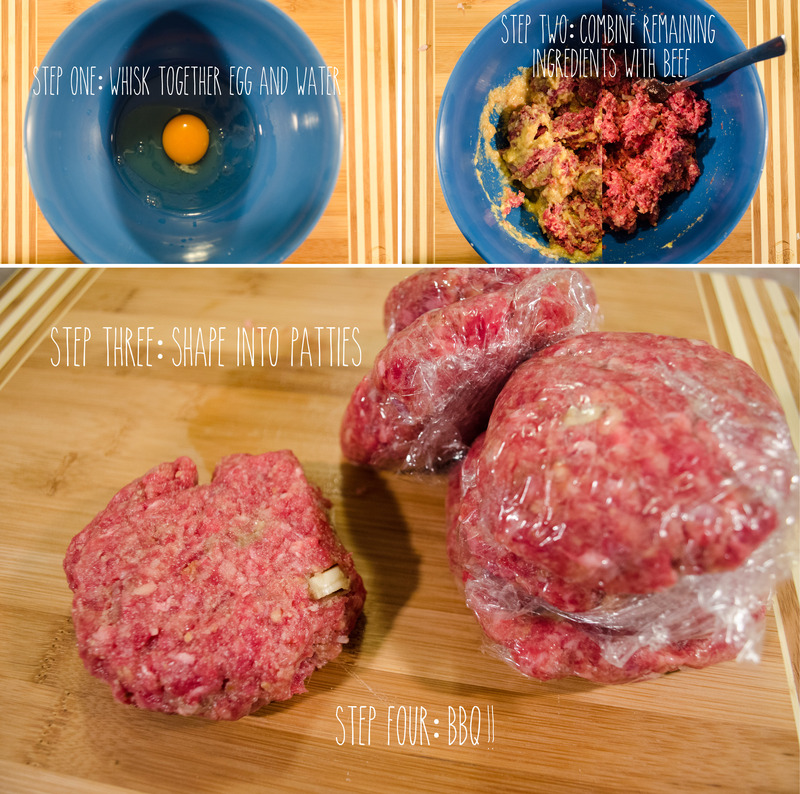 Mix in bread crumbs, shallot, garlic, mustard, salt, and BBQ sauce. Mix in beef. 4. BBQ! Place patties on greased grill over medium-high heat; close lid and cook, turning patties once, for about 10 minutes or until no longer pink inside. (As I mentioned, I cooked them on my table-top grill. It took roughly 5 minutes (just make sure the patty is brown all the way through). ASSEMBLE YOUR BURGER! 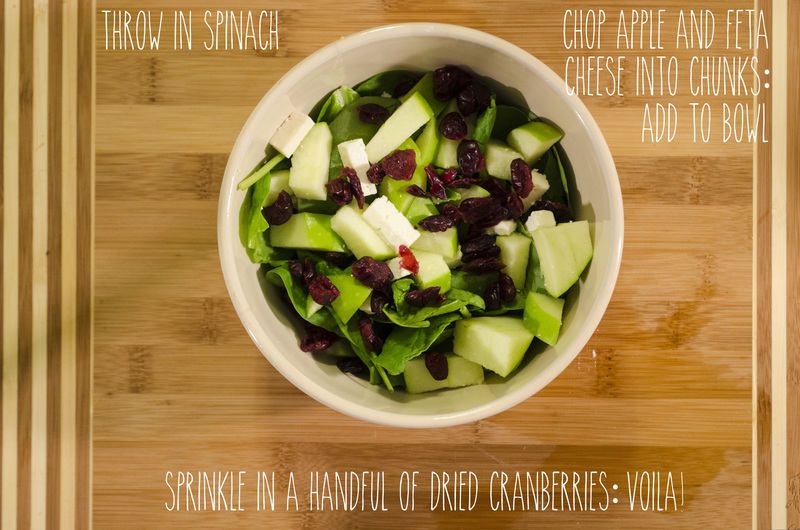 Last but not least: Cran-Apple Spinach Salad! 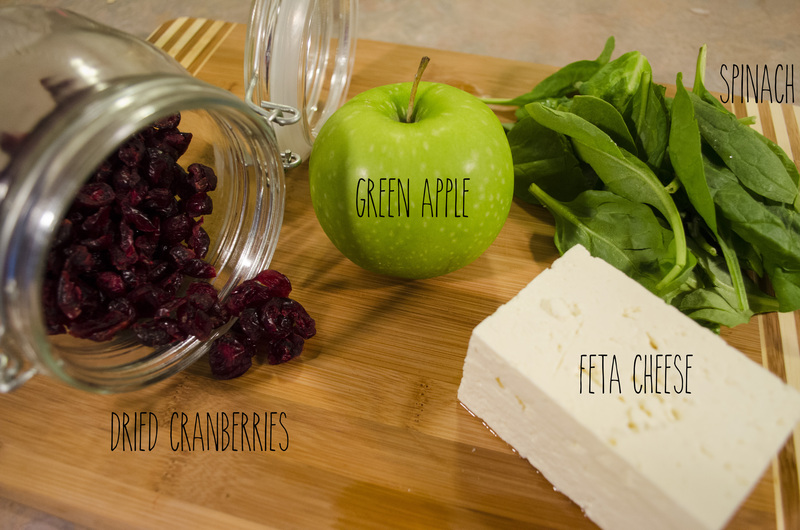 The steps for this are pretty straight forward: Put spinach in bowl, throw everything else in. Voila! Also, as you maybe noticed, I didn’t use any dressing on this salad. That’s because I hate condiments. Of any kind (no joke I eat a Caesar salad with no dressing). So if you want a little spice in your life try adding a raspberry vinaigrette! 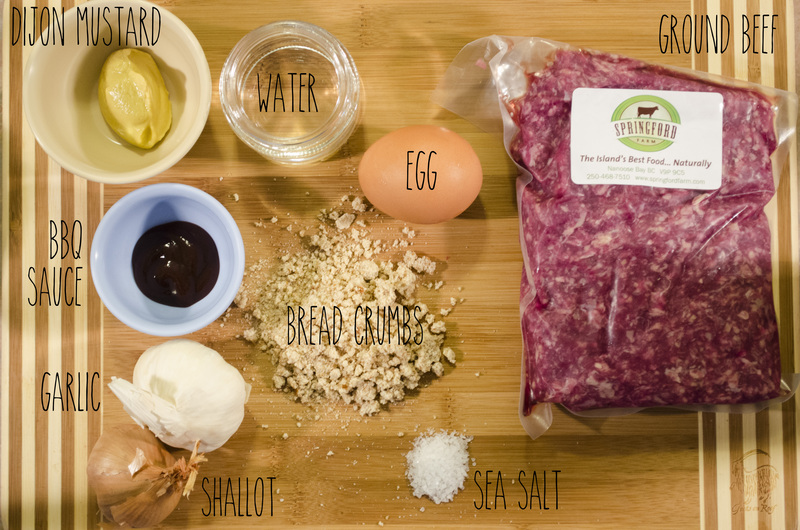 So what’s your favourite hamburger recipe? Do you love the classic beef burger or do you like to mix it up with a chicken or salmon burger now and then? ?